On this immersive journey, we'll take in the breathtaking sights of western and central Bhutan, beginning with the new and old capitals of Thimphu and Punakha. 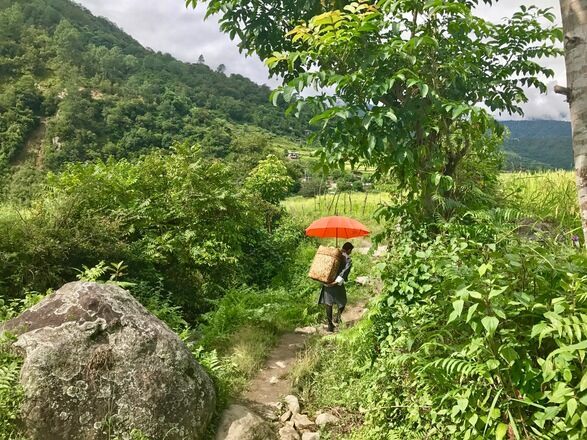 From the subtropical greenery of these small cities, we'll then pass into the beautifully isolated Phobjikha Valley and on to Bumthang, Bhutan's spiritual heartland. 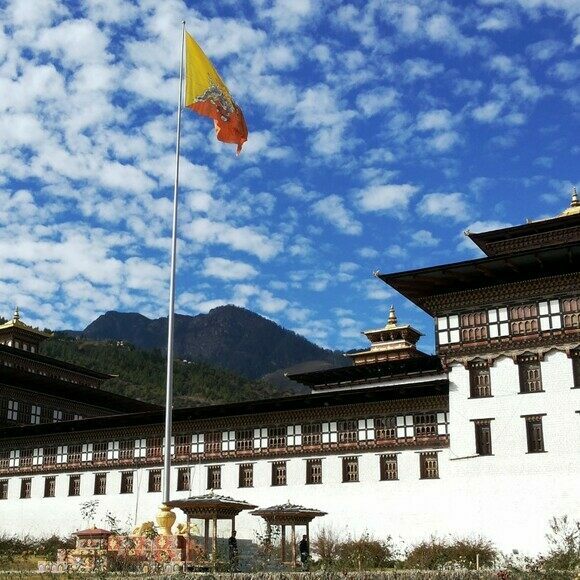 We'll dedicate two days to the Jambay Lhakhang Festival, one of the country's brightest and liveliest celebrations. Our adventure ends with an ascent to the dramatic Taktsang Lhakhang (Tiger's Nest Monastery). Day 1: Welcome to Bhutan! 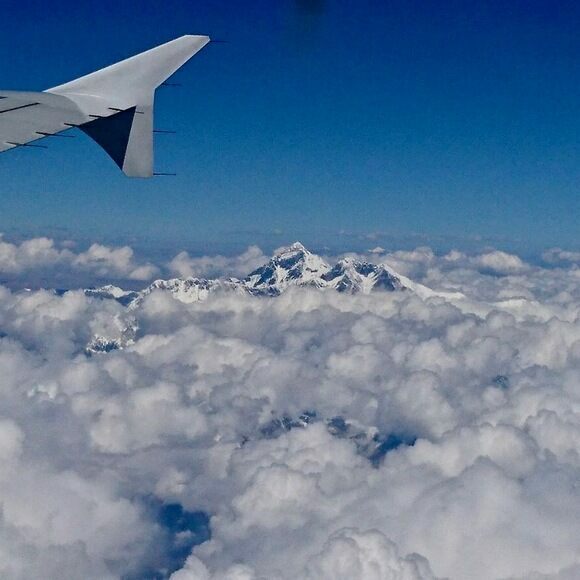 Enjoy spectacular views as you fly over the Himalayas and make a dramatic descent into Paro Airport. Once on the ground, you'll receive a big Kuzuzangpo la! (Hello and welcome!) from your Bhutanese guides and drivers. From Paro Airport, we'll drive to Thimphu, Bhutan's most developed city and home to the government and royal family. After resting and freshening up at the hotel, we'll visit Buddha Dordenma, the largest Buddha statue in the country. This serene golden structure sits atop a hill, calmly overlooking the Thimphu Valley. In the evening, we'll enjoy our first dinner together as a group. 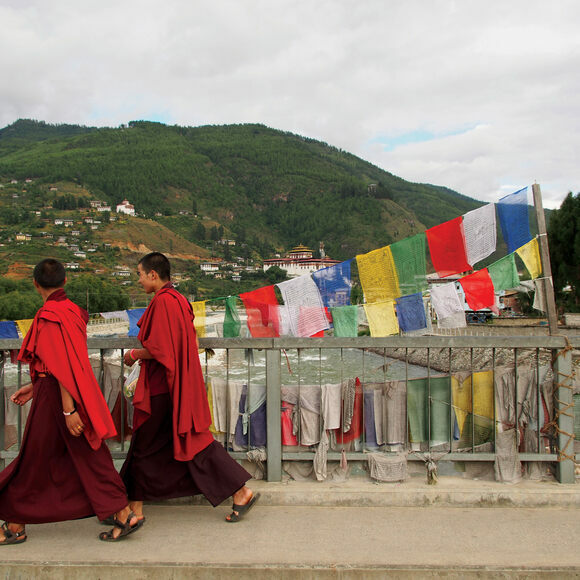 Today we’ll be exploring the capital of Thimphu. Our first stop is the Royal Textile Academy, which showcases the great variety and beauty of the country's woven art. Next we’ll travel to a farm just outside the city to learn about ancient agricultural traditions that remain unchanged in many parts of the country. We'll also visit the country's seat of government, Tashichho Dzong, an impressive Buddhist monastery and fortress. The dzong is surrounded by lush gardens and overlooks the Wangchhu River, which flows all the way to India and Bangladesh. This evening, we’ll try our hands at preparing some of Bhutan's most popular dishes including Ema Datshi, made of spicy chilis, local cheese, green beans, ferns, and other seasonal vegetables. This morning we'll drive over the Dochula, a pass that stands at an elevation of 10,170 feet. On a clear day, it offers breathtaking panoramic views of the Himalayas and Gangkar Puensum (24,734 feet), the world’s tallest unclimbed peak. If you walk a little ways up the mountain and into the forest, you'll stumble upon a cluster of moss-covered meditation caves. By midday we'll arrive at Punakha, the ancient capital of Bhutan. En route, we'll visit Chimi Lhakhang, a temple dedicated to Drukpa Kunley, a national figure known as the “Divine Madman." You'll learn from your guides about this unconventional monk, the inspiration for the country's omnipresent phallus symbol. The walk to and from the monastery is about 45 minutes, with time to poke around the local shops. Inside the monastery, you'll find a book filled with notes of gratitude from hopeful but childless visitors who were later blessed with offspring. Our day begins with a short walk through the nearby fields of rice, chiles, and cabbage. We'll meander on toward the Khamsum Yuley Namgyal Chorten and take in commanding views of the surrounding mountains and valley. 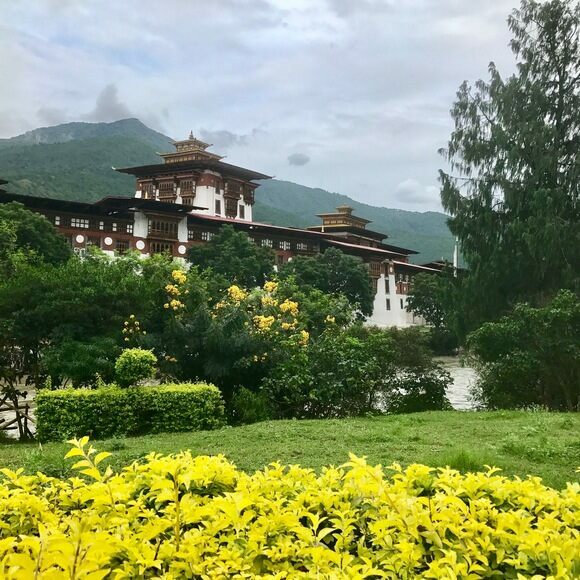 After relaxing with a picnic lunch at a scenic spot near the river, our next stop will be the magnificent Punakha Dzong, also known as the Palace of Great Bliss. The remainder of the afternoon is free to relax or explore on your own. For those interested in seeing more of the valley on foot, our guides can suggest and lead additional hikes. Today we'll depart for the stunning Phobjikha Valley. 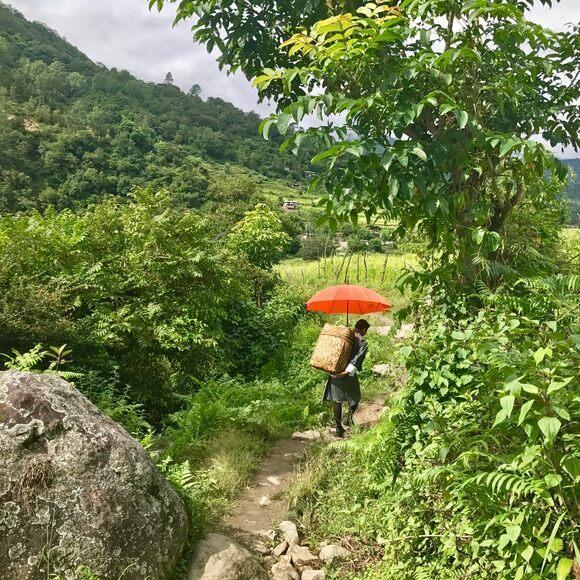 Our three-hour drive climbs from the subtropical greenery of Punakha to an alpine region of vast hemlock and rhododendron forests. After arriving around midday, you'll have a chance to sit back, relax, and take in the beauty of the valley. In the afternoon, we'll reconvene for a visit to the Black-necked Crane Center to learn all about the rare birds that winter here and efforts to protect them. We'll also get to meet the center's crane-in-resident, an injured bird that the center cares for year-round. In the evening we’ll take a stroll around the valley, where we might encounter local students eager to practice their English. This morning, we'll make our way to Gangteng Gompa, a 17th-century monastery overlooking the lush Phobjikha Valley. During our visit, we'll meet a senior monk who has lived his life under strict vows of celibacy, discipline, and meditation. We'll also have the opportunity to attend a prayer ceremony dedicated to peace and all sentient beings. 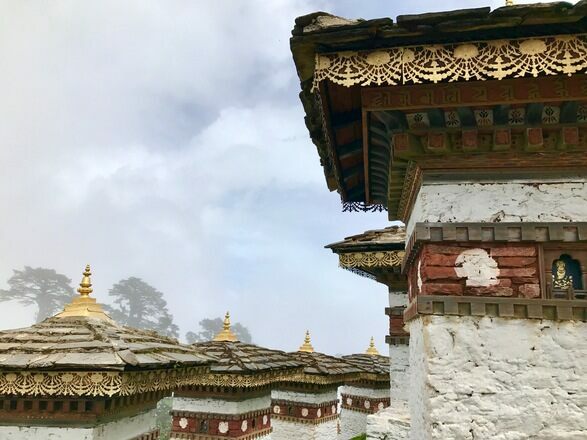 Enjoy the temple's tranquil setting or walk to the surrounding villages, basking in the alpine scenery that distinguishes Bhutan’s high country. After a picnic lunch, we'll visit a visit a local family at the farmhouse that has been in their family for centuries. You'll have the chance to taste ara, a moonshine drink made from organic grains grown by the farmers, to go with some Ema Datshi that you’ll help prepare. This morning, we'll continue our journey eastward toward Bumthang, the spiritual heartland of Bhutan. After about three hours on the road, we’ll stop at the steep ravine valley of Trongsa. We'll visit the watchtower known as Taa Dzong, originally built in 1652. Inside, you'll discover a small chapel dedicated to King Gesar, an epic hero of Tibetan history, as well as an excellent museum dedicated to the monarchs of Bhutan. Over another two hours on the road, we'll gain some altitude before descending again into the Bumthang Valley, our home for the next four nights. 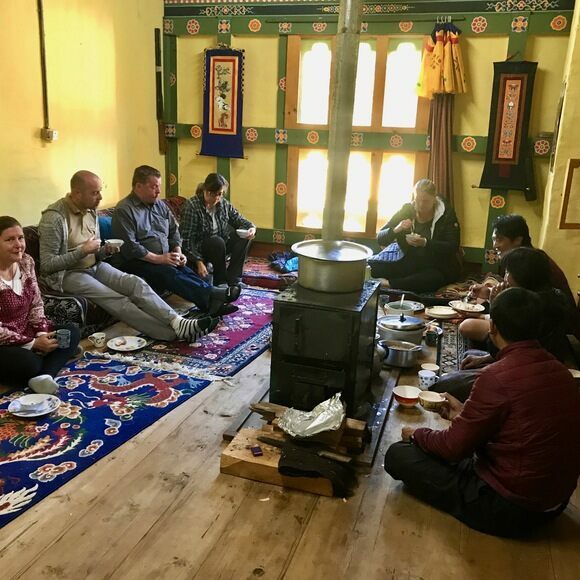 After kicking off the morning with some traditional butter tea, we'll drive to the seventh-century Jambay Lhakhang Temple, site of the local festivities. It is said that the legendary Guru Rinpoche visited this temple multiple times and deemed it exceptionally sacred. 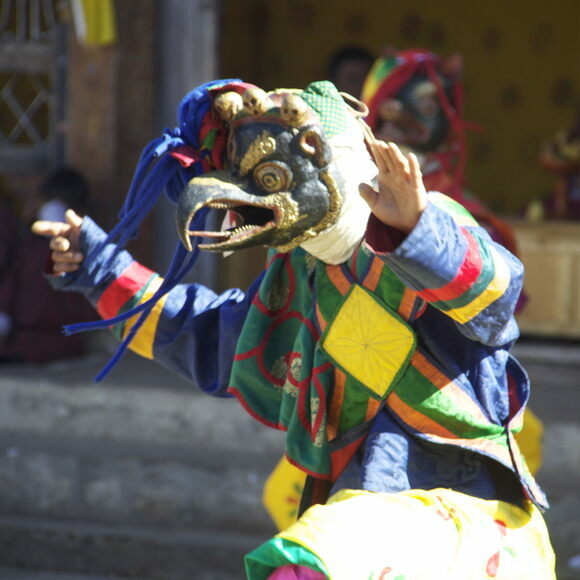 The Jambay Lhakhang Festival begins today with the ground purification dance and welcome folk dances by the women of Bumthang. The crowd will slowly pour in as the festival gains momentum. 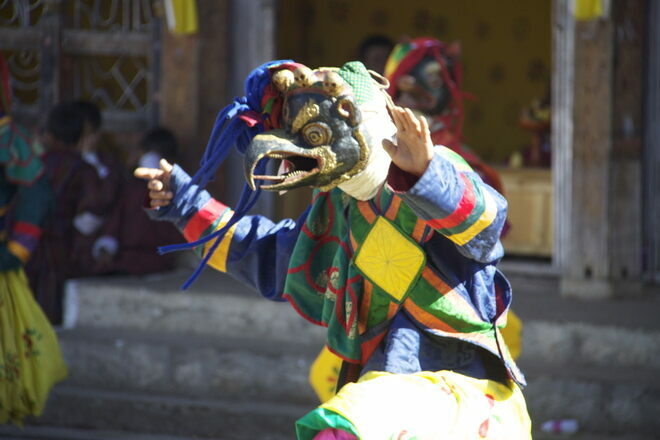 Over the next two days, you'll witness an array of different local, national, and Tibetan-style masked and folk dances. One highlight worthy of mention is the so-called "naked-men dance" (Tercham) that requires you to be at the chilly grounds at the stroke of midnight. Today, return to the festivities of the Jambay Lhakhang Festival, either in the company of a guide or on your own. If you'd like to explore beyond the festival and into the nearby area, there are many sights in Bumthang well worth checking out. For those looking to explore on foot, excursions to Kurjey Temple and the surrounding villages will be organized. There will also be the chance to visit the cheese farm of Fritz Maurer, a Swiss native who settled in Bhutan over 45 years ago. We'll gather back together for dinner in Bumthang. Today we'll take a trip into Tang, one of the four valleys of the Bumthang region. A two-hour drive from our hotel, the valley combines immense natural beauty with historical importance: Bhutan’s greatest spiritual figures came from here. On our way, we’ll take the time to visit the Pema Choling Nunnery. This nunnery is home to 300 Buddhist nuns who are practitioners of the soothing drum ceremony, which we may have the chance to witness. The route will also take us to "Burning Lake." The saint Pema Lingpa is said to have jumped into the lake holding a butter lamp before reemerging with the lamp still burning bright, proving himself the son of the great Guru. The lake remains a place of pilgrimage. In the afternoon, we'll drive back to the Bumthang Valley, exploring the town of Jakar and its local bazaar en route. Bidding farewell to Bumthang, we fly back to Paro. After lunch, our first stop in Paro is the National Museum, home to a wide assortment of historic artifacts. From there we’ll walk to the nearby Paro Rinpung Dzong, an ancient fortress housing the district Monastic Body and local government administrative offices. We will also visit the seventh-century Kyichu Lhakhang, one of the oldest temples in the country. Afterward, we can stroll through the marketplace and handicraft shops to select souvenirs and gifts, including postcards and Bhutanese stamps. Paro's downtown is barely a decade old, and you'll find Western coffee shops and bakeries scattered among craft stalls and corner stores. This morning we'll set off for one of the most striking Buddhist temples in the world. 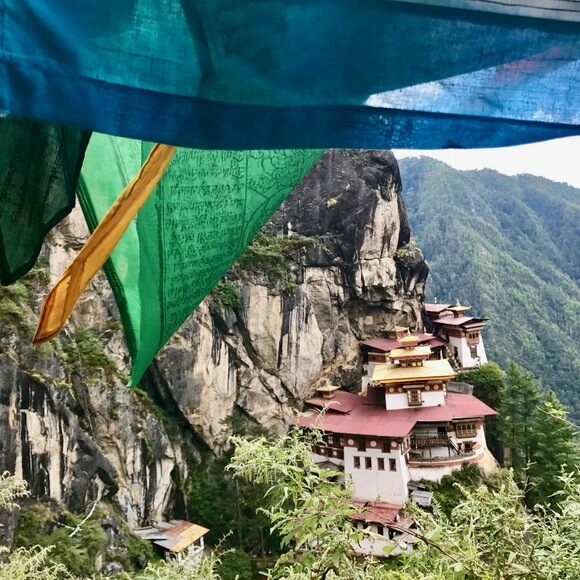 The walk to Taktsang Lhakhang—the Tiger's Nest Monastery, built into a cliff face 2,600 feet above the Paro Valley floor—will be challenging but very rewarding. The sacred site takes its name from a mythical journey made by Lord Padmasambawa (Guru Rinpoche), in which he flew on the back of a tigress in order to meditate for three months and convert the valley to Buddhism. Tucked among the shrines there is also a slim crevice in the rock for the more intrepid. After slipping through, you can descend a set of wooden ladders into the stone cave where the nest itself—and its tiger—are said to reside. Returning from the hike, our last afternoon in Bhutan is free to relax in the hotel or revisit the market. Tonight, our group will enjoy a final farewell dinner with our guides and driver, and have a chance to reflect on all that we've experienced together. Our journey through Bhutan ends today. We’ll wake up for one last cup of local tea before going to the airport, to head home or on to your next destination. Until the next adventure! Magical, serene and continually interesting. Once you have signed up for the trip, we will get in touch to help book your Druk Air flights in and out of Bhutan. While our group itinerary begins in Paro, Bhutan on November 8, you should plan to arrive and overnight in Bangkok on November 7 in order to connect with your onward flight to Bhutan the following morning. Flights in and out of Bhutan are prone to schedule changes and tend to sell out, so we do not recommend a tight connection in Bangkok. The trip ends in Paro, Bhutan on November 20. Again, we will be in touch to assist in booking your flight out of Bhutan. You should plan to depart Bangkok any time after 9 p.m. on November 20, leaving plenty of time for schedule changes or delays on the flight out of Bhutan. We recommend a medium level of physical fitness, since we'll be embarking on very active days together. You should be comfortable walking between three and five miles per day without difficulty, and spending extended periods of time on your feet. For those interested in trekking, there will be opportunities for longer and more challenging hikes on certain days of the trip. Some of the places visited on this trip are extremely remote. It can take days to reach the nearest modern medical facility. If you're uncertain about whether this trip is a good fit, please contact us and we'd be happy to discuss with you further. 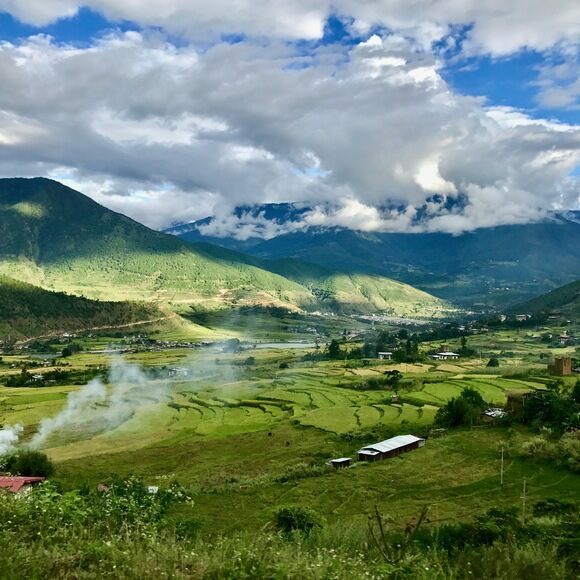 The elevations reached on this trip range from approximately 4,000 feet in Punakha to approximately 11,000 feet when crossing the journey's highest pass, the Dochu La, by road. 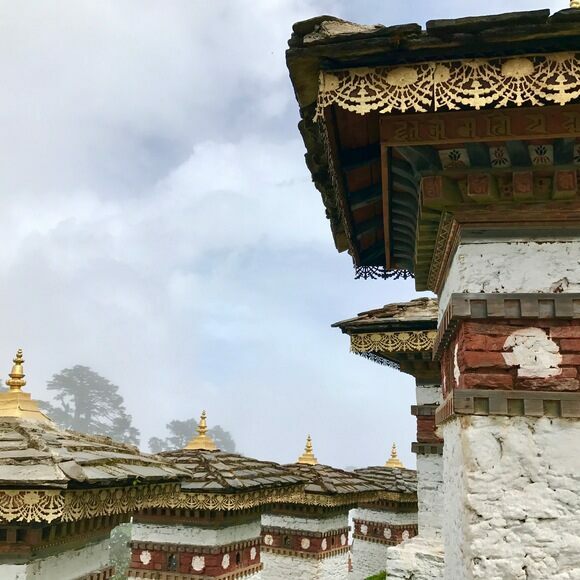 Travelers should speak with their doctors about appropriate precautions to take, and consider spending an extra night en route to rest and recover from jetlag before continuing on to Bhutan. It's important to bear in mind that high-quality emergency medical care may be a day or more way due to the remoteness of some of the areas we'll visit. 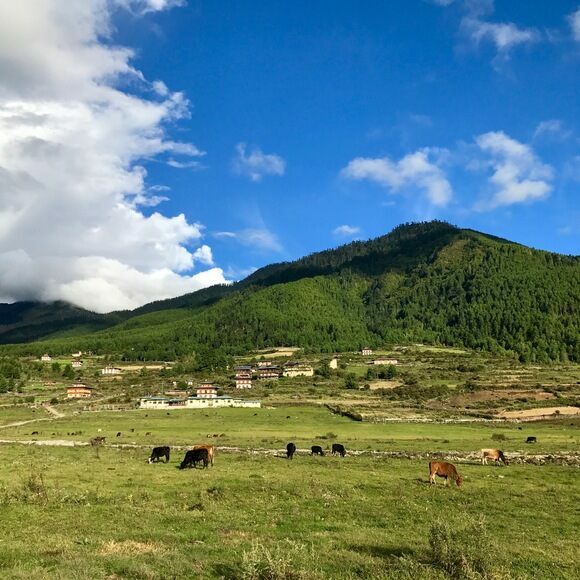 We'll be spending twelve nights in a range of local accommodations, from rustic (but clean and comfortable) lodges in Gangtey and Bumthang to a beautifully designed upscale Bhutanese-style hotel in Paro. Single travelers should be prepared to share a room with another traveler of the same gender, depending on the composition of the group. Single travelers who would like to have a room to themselves can book private accommodations with a single supplement of $325. The total cost of this trip is $4,560. A $500 deposit is required to hold your space. The deposit is non-refundable after three days. The final payment of $4,060 will be due by August 9, 2019. All reservations will be final after this date and subject to our cancellation policy. By submitting your deposit, you agree to the trip's Terms & Conditions. For travelers wishing to have single accommodations during the trip, an additional $345 will be due at the time of the final payment. Accommodations throughout the tour as listed in the itinerary. 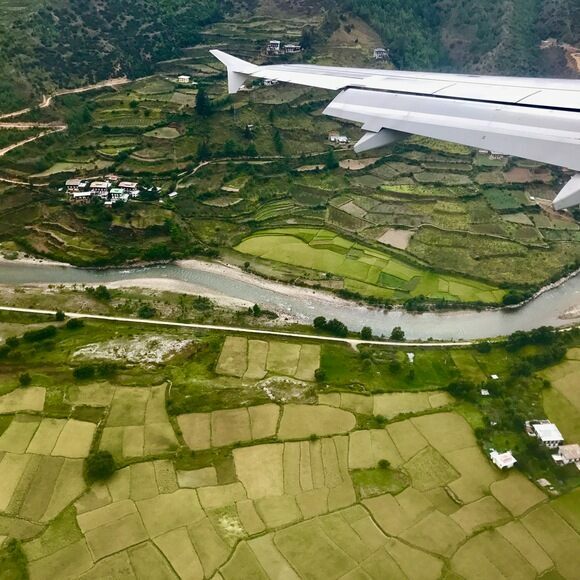 Domestic flight from Bumthang to Paro. All entrance fees and activities. The company of an expert bilingual guide. International airfare to/from Bhutan. We'll assist with booking your Druk Air flights in and out of Paro (to be paid separately). Yes, a visa is required for travel to Bhutan, but we will secure it on your behalf. November is typically an excellent time to visit Bhutan. Temperatures vary widely from one town to another due to the range of altitudes, but in general you can expect daytime highs in the 50s or 60s, and nighttime lows in the 30s or 40s. As the weather cools down, the skies are generally clearer, increasing the odds of excellent views of the surrounding Himalayan peaks. That said, weather in the Himalayas is very unpredictable and it's best to be prepared for a variety of possible conditions.